Smartphone friendly barcodes are being used in cell phone unfriendly locations. 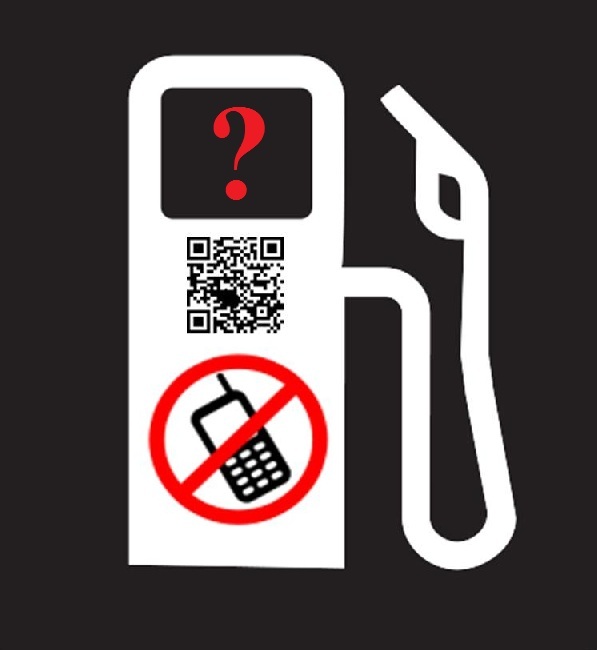 It is becoming increasingly common to see a QR code posted in places such as in magazine print ads, on billboards, and on product packaging, but their latest addition to gas pumps is causing some consumers a great deal of confusion. These quick response barcodes offer everything from discounts to free products when scanned. However, the problem that consumers are having with these tempting opportunities is that they are located in areas that also display warnings that it is not safe to use cell phones and other electronic devices. The issue has been growing throughout the United States, appearing most recently in Minnesota. The QR code ads promote opportunities for discounts but are posted in areas where cell phone use is banned. Consumers are finding themselves quite confused by the conflicting information, as the signage both encourages them to scan a QR code and tells them not to use the device as it risks sparking a fire in a very dangerous location. The Fire Marshal’s office does not issue the signs that are posted at gas stations as they do not believe that the use of mobile phones causes the danger that the signage suggests. This means that it is the gas stations, themselves, that are choosing to post both signs that feature a QR code and those that warn consumers not to use their smartphones because it could cause a fire. According to Rosendahl, the largest risk of using the device near the pumps is that they cause consumers not to pay attention while working with gasoline, a hazardous material.